Bust boredom with these goodies! 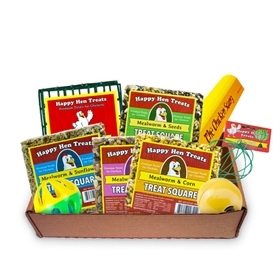 This "Care Package" for chickens includes some of our favorite chicken toys, as well as treats that help entertain your flock. 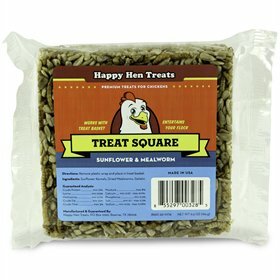 If you have a chicken lover in your life, this care package makes a great gift, because we've done the picking for you. 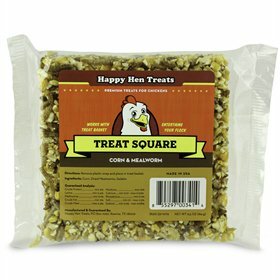 And if you're a chicken lover yourself, know that when you buy this package, you'll save big over the cost of buying these items separately because shipping is included in the price! Also important to keep in mind: this isn't a "just for fun" care package (although it IS fun, make no mistake!). 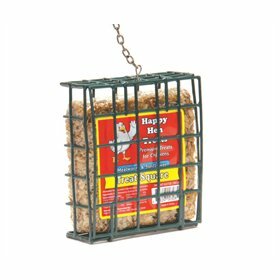 The fact is that keeping your chickens entertained and engaged in natural foraging behaviors means they'll be happier and there will be less stress and fewer behavior issues such as pecking in your flock. 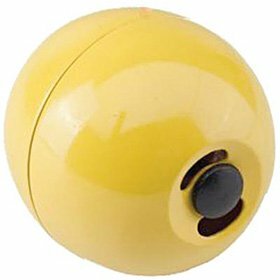 Boredom Busting Ball: a rolling toy that will hold greens and garden clippings. 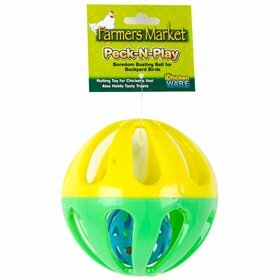 Chicken Treat Ball: a hanging toy to dispense treats like cabbage and garden clippings. Hang just above their heads so they have to work to get it! 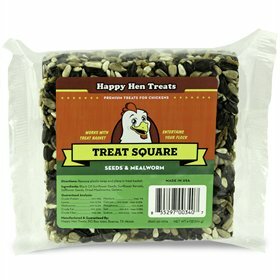 Chicken Fun Toy: for small treats like seeds, mealworms and scratch. 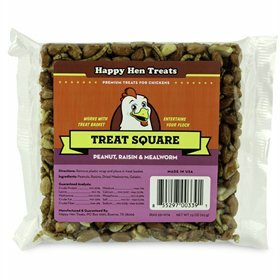 They have to really engage to get the treats out! 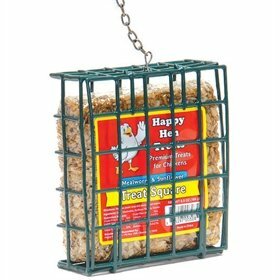 FOUR treat squares (our choice) plus a hanging basket to put them in: suet blocks specifically designed for chickens. Once again, hang it at a height where they have to "work" to get it. 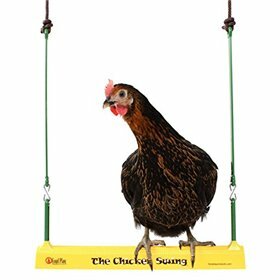 Chicken Swing: believe it or not, this swing for your chickens is a favorite with flocks, and great at dispelling boredom.